Enjoying optimal oral health and wellbeing depends on two things: a good home care routine and quality professional preventive care. For over 25 years, our Chesapeake office has provided exceptional preventive care using the latest tools. Our goal is to always provide customized service built around your specific needs. If we find anything that needs to be treated, we’ll talk to you about your situation and your options. If you have any questions or concerns about what we recommend, we would be happy to address them. If it’s been more than six months since your last dental appointment, be sure to contact us today! To have a healthy smile, we recommend coming to us at least twice a year for regular dental cleanings and exams. These visits are important because they give us the chance to catch common oral health problems and then create a treatment plan for them. When we’re able to address a problem early, we can provide more comfortable and less invasive care. The back teeth (called the molars and premolars) have pitted and grooved chewing surfaces, which make them excellent for breaking down food, but it also makes them very vulnerable to developing cavities. These uneven surfaces often trap plaque and food particles and can be extremely hard to clean while brushing, especially for young children. Fortunately, Estrada Dentistry has a simple solution that can give a smile extra protection right where it needs it using dental sealants. A dental sealant is a clear, thin layer of a plastic-based substance that can be applied to the teeth (most often the back teeth) at the end of a regular checkup and cleaning. This will create an invisible barrier that plaque, bacteria, and acids cannot penetrate, effectively preventing both tooth decay and cavities. They only take minutes to apply, and they can last for years with consistent oral hygiene. Do you routinely wake up with a stiff, sore jaw, or do your teeth appear to be worn down? If so, you may be suffering from bruxism, a condition where a person unconsciously clenches their jaw and grinds their teeth while they are asleep. Bruxism can be caused by a misaligned bite, stress, or even trauma to the face, and it’s believed that as many as 1 in 3 people suffers from it. Left untreated, it can severely damage tooth enamel, eventually causing it to fracture, and even strain the muscles and joints in the face and jaw. To combat this sneaky problem, we can provide you with something called a nightguard. This is a custom-made oral appliance you’ll only need to wear to bed, and it works by placing a protective cushion between your teeth to prevent them from grinding together. Each one is specially designed to comfortably fit every patient’s unique smile. Do you or your child regularly participate in sports? Did you know that up to 40% of ALL sports injuries are actually dental injuries? And that’s true whether a sport involves contact or not! When people and objects are flying around at high speeds, accidents happen, and a lot of the time, it’s the teeth that pay the price. This is why everyone should invest in a custom-made sportsguard from their dentist. 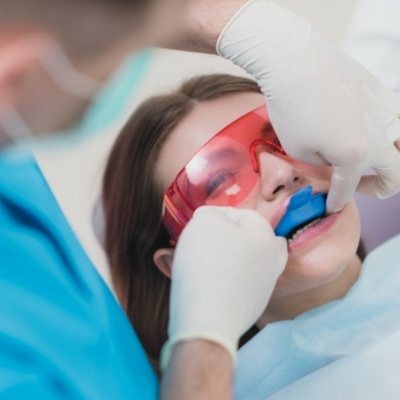 It will not only protect the teeth, lips, and mouth from unexpected impacts, but research has shown it can also reduce a person’s chances of sustaining a concussion. Our sportsguards are specially-made for each and every patient using a strong and flexible material. This makes them much more comfortable and protective than any generic sportsguard you can buy at the store. They help athletes stay in the game longer and have one less thing to think about, which is always appreciated! Fluoride is a natural mineral that has long been shown to have oral health benefits, which is exactly why it’s added to most toothpaste and public water sources. When exposed to the teeth, it’s actually able to replace the minerals that have been lost due to the bacteria, plaque, and acids that our smiles encounter every day. We can provide you and your family topical fluoride treatments at the end of your checkups to make sure your smiles stay healthy and strong between appointments. If you are prone to developing tooth decay and cavities, then a regular fluoride toothpaste may not be strong enough to meet your oral health needs. In this case, you need something a bit stronger in the form of a prescription toothpaste. You can’t simply pick one up off store shelves, however—you need to get it from your dentist. We’re more than happy to provide this kind of product should we both decide that it is in the best interest of your smile. You’ll just need to use it like a regular toothpaste to experience its benefits. The temporomandibular joint, or TMJ, is the small hinges that connect your lower jaw to your head, and they are also what allows it to move smoothly whenever you eat, speak, laugh, or yawn. Sometimes, this joint can become strained due to a misaligned bite, injury, or even stress. 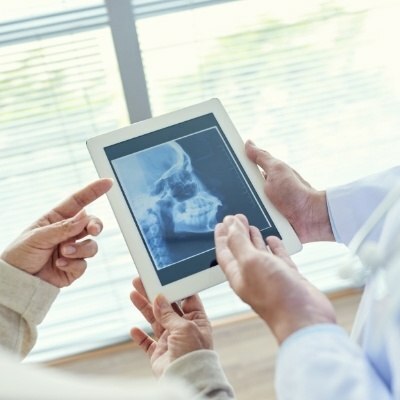 This can actually turn into a temporomandibular joint disorder (TMD), whose symptoms include a stiff, painful jaw, migraine headaches, and unconscious teeth grinding. If any of these sound familiar, you should seek out professional help with your dentist from Estrada Dentistry immediately. When you come to see us showing the signs of TMD, our first step will be to evaluate your teeth and jaw to find the source of your pain. After that, we will recommend the appropriate treatment. 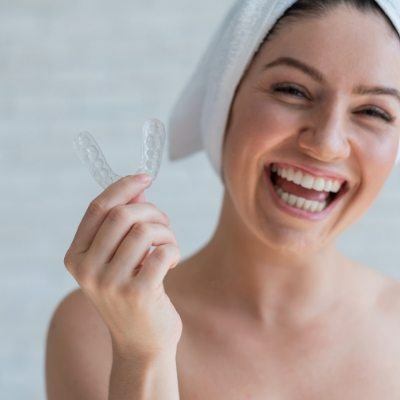 This may involve something called an equilibration, in which we slightly reshape your teeth to ensure that they fit together properly and don’t cause tension in the jaw, or the use of an occlusal splint. This is a small, custom-made mouthguard that will slightly reposition your jaw into a more natural and relaxed orientation, which will over time help relieve any pain associated with TMD. Gum disease is by far the most common dental problem in the entire world, affecting about 80% of adults worldwide. While early symptoms are easy to miss, it can eventually lead to tooth loss and even increase a person’s chances of suffering a heart attack or stroke. 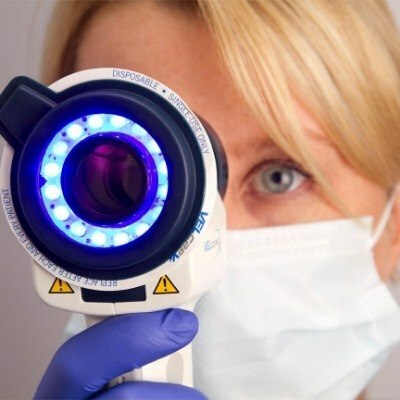 We’ll keep an eye on your gums whenever you come to see us so that if we spot any signs of infection, we’ll quickly be able to treat it before it can harm your smile. A dental emergency usually consists of 3 main things: dental pain, anxiety, and terrible timing. Should you or a loved one experience a dental injury or develop severe dental pain, you can always reach out to Estrada Dentistry for help. We try to always see emergency patients the same day that they call in, and we’ll do our best to relieve your pain and get you back to your normal life as quickly as possible. Early-age dental appointments are absolutely essential to ensuring a lifetime of healthy smiles, and at Estrada Dentistry, we love to serve Chesapeake’s littlest citizens. Using a combination of specialized treatments, a gentle touch, and education, we’ll take care of your child’s teeth and help them form helpful habits that will serve them well into adulthood. And, we’ll always go out of our way to make sure they have calm, cool, and relaxed visits.